This collection reminds me of the finger knitting I obsessed over in 4th grade. 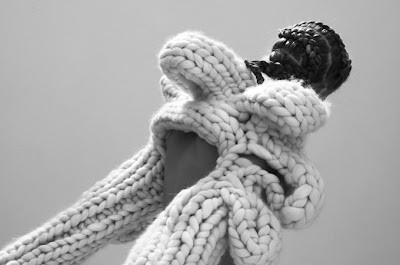 While my repetitive pieces ended up useless floor rugs, Nanna van Blaaderen ties hers together seamlessly in this whimsical yet structured hand knit collection. 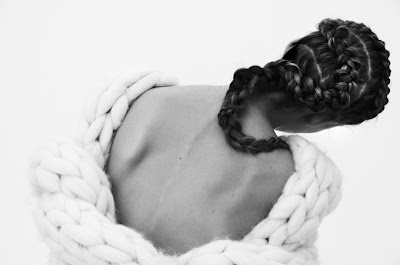 Check out the stunning hair dos to boot!